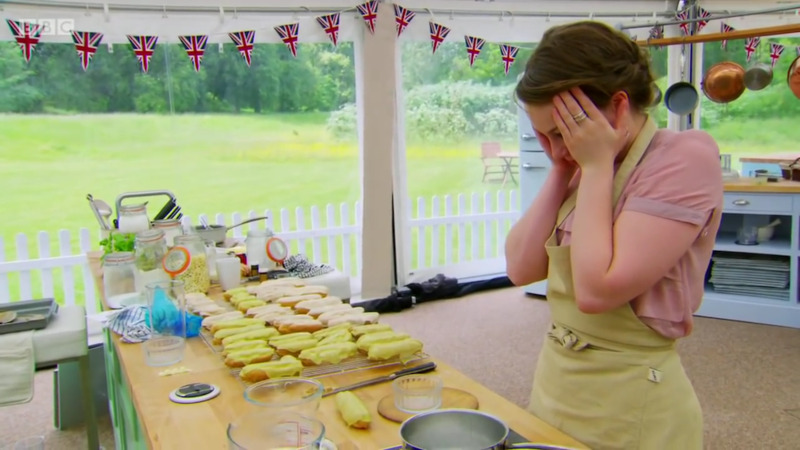 After binging an entire season of The Great British Baking Show (or The Great British Bake-Off, as its known in the U.K.), I'm always left wondering: why would an amateur baker put themselves through 10 weeks of stress, emotional torment, and melting ganaches if they weren't total masochists? Despite its quaint British charm, the reality competition show is no joke. 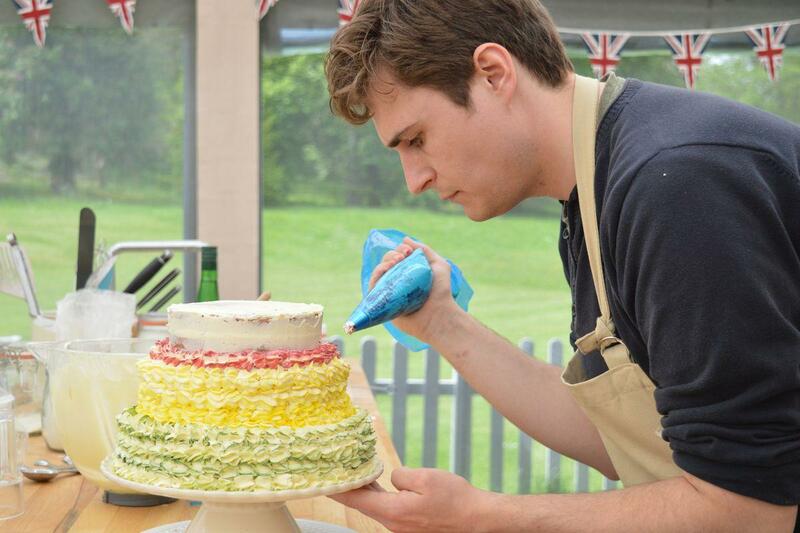 Competing on the show is a full-time commitment, with many bakers losing money in the process. 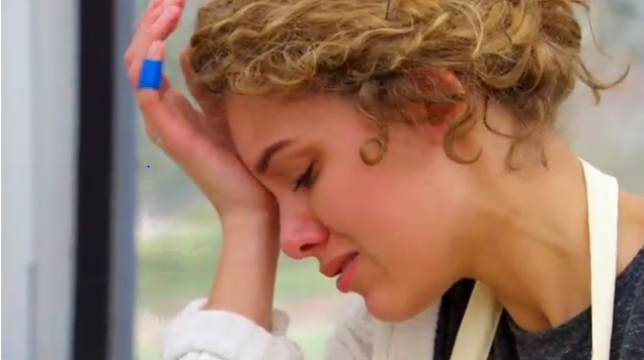 But hey, at least it's worth it to win that coveted trophy while gazing into Paul Hollywood's eyes, eh? 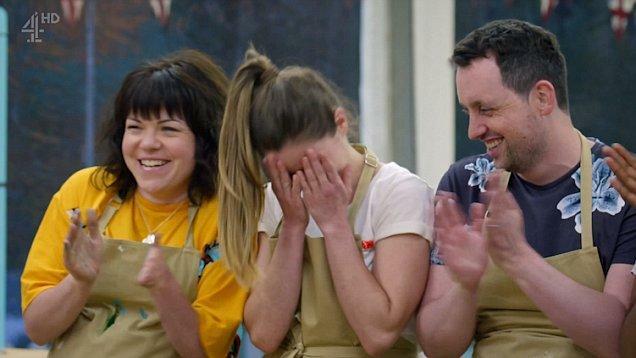 But in case you were sitting at home thinking, "Hey, I can totally bake a Victoria sponge cake without dropping it on the floor," here's what it's like to be a contestant on the cutest emotional stress test on television. 1. Be prepared for a daunting audition process. If you want to show off your mad glazing skills when it comes to making mince-meat pies, first you'll have to fill out an eight-page application full of questions about your baking skills and background, along with pictures of your elaborate baking creations. If you make it past that round, you get a call from a producer. But the process doesn't end there. "It's quite intense," 2017 winner Sophie Faldo told Vulture. "After that, I got a series of phone calls that followed up from the application. They ask you very technical questions, so you really have to know your stuff. The further it went along, if you didn’t have a basic knowledge of baking, they would know immediately and cut you. 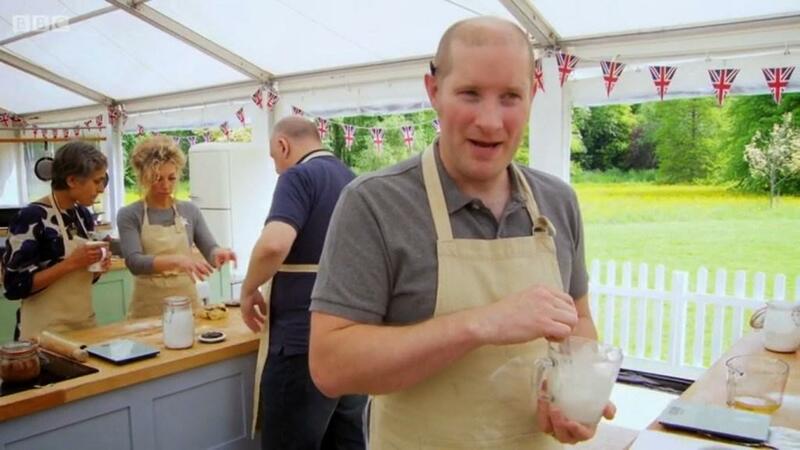 If you make it after the calls, then you finally go and bake in front of [the producers]. They want to ensure you can follow instructions and cope under pressure. It’s very intense, but an incredibly fulfilling experience. And then they offered me a spot. I said yes immediately." 2. Say goodbye to your social life. Being on the show is a full-time commitment. 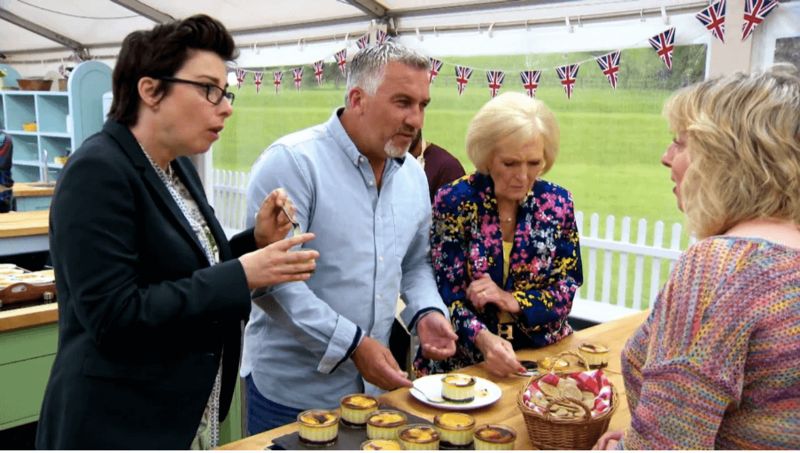 Although on TV it looks like the bakers only spend a few hours each weekend crafting those dainty desserts, filming actually lasts all day — 13 hours or longer, to be exact. Bakers drive or take a train on Friday evenings, arrive at the tent at 5 a.m. on Saturday, and then are driven to a hotel at 8 p.m. that evening. They do the same thing all over again the next day, while still having to hold down their day jobs. Although most episodes are shot on the weekends, there are occasional weekday shoots as well on Wednesday and Thursday. 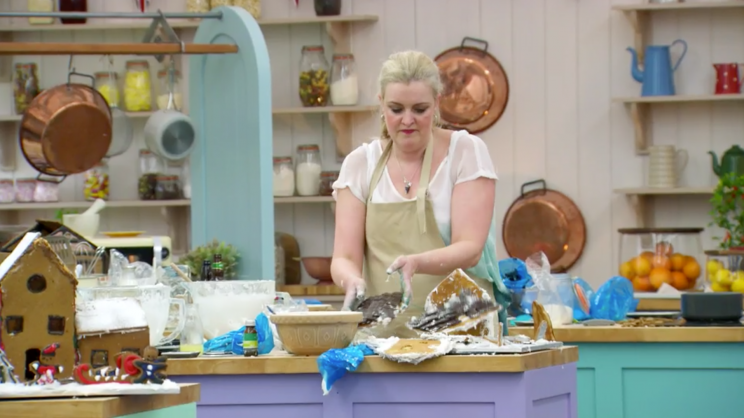 "You haven't really got a life other than Bake Off," 2013 winner Frances Quinn told Cosmopolitan. "No social life. That was the most stressful time... It's not just a 2-hour bake with a few buttercups." 3. 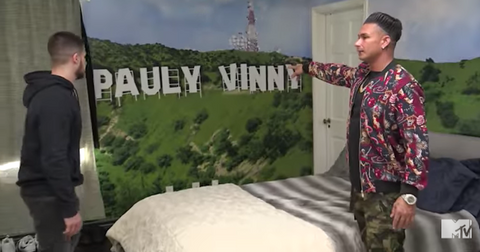 You'll get to stay at a hotel while filming. "We were well looked after in a really nice hotel,” former contestant Ali Imdad said. “They drive us to the tent in a minibus, for the Signature and Technical challenges on a Saturday and the Showstopper challenge on a Sunday." Although most bakers say they made friends while spending so much time together, it's not always fun. "It's actually all quite stressful," Frances revealed. "It was like going towards an exam, and then on the way back, some people had done really well in the exam and some people hadn't done so well and it was the next day when you know someone is going home. 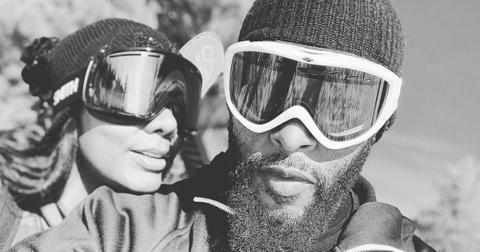 It was tricky trying to deal with everyone's different emotions." 4. You'll hate baking in a tent. The show's "tent" is an important part of the show and is designed to look like an old-fashioned "village fete," which is a common outdoor festival in Britain. Although the show gets points for historical accuracy, cooking in a tent kind of stinks. Because air conditioning and heaters aren't allowed in the tent (too loud), extreme temperatures add to the challenge. "It's completely alien to your own kitchen at home," Frances said. "The temperature fluctuates — you'd be making a meringue and it would start raining, or we'd try and make pastry and it would be 27 degrees (81F) outside. The technical challenges and lack of time and lack of fridge and work space are the enemy on that show." 5. You can't be camera-shy. It might sound like a no-brainer (you are on TV, after all), but many bakers completely underestimate how hard it is to bake, talk, and explain recipes while cameras dance around them. Also, when a baker is pulling something out of the oven, a camera has to be on them, and if one isn't, they have to call a producer over. But the easiest way to avoid camera attention is to not let anyone know when you mess up that puff pastry. 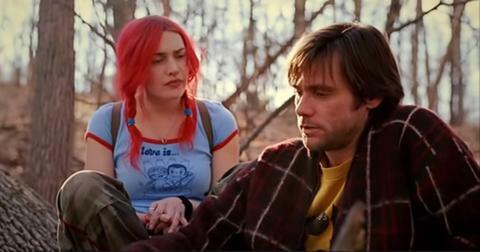 "The thing is to not express when something goes wrong — that's when the camera will be on you," Frances said. "You just have to not let them know." 6. You might lose money appearing on the show. Aside from bragging rights, the show infamously has no cash prize. Besides a small stipend to help cover travel fees to the tent, any other expenses bakers might have (like purchasing ingredients to practice their bakes during the week) are done on their own dime. Former baker Sophia agreed. "It’s pricey. You definitely spend more than you end up getting back." 7. Don't expect to see the hosts or judges much. 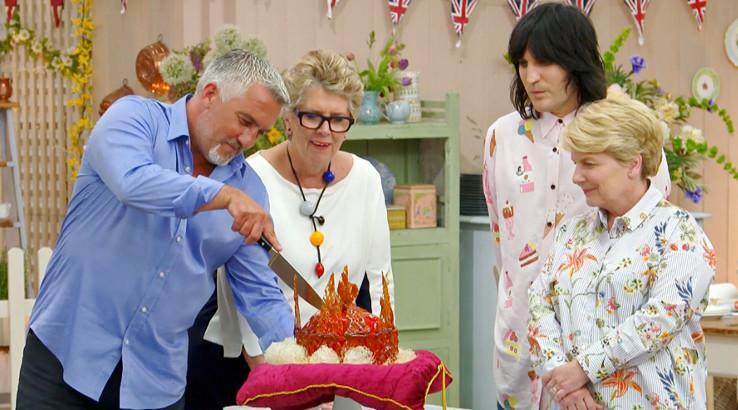 If you have dreams of being BFFs with judges Paul Hollywood and Prue Leith (or former judge Mary Berry), not only are you delusional, it's also impossible. "They very much tried to keep it unbiased," Frances said. "We saw a lot more of [former hosts] Mel and Sue. Mary and Paul would purely come in to do what we called the royal tour - where they'd come in and find out what you were making, and then they'd come back in for judging. You're not in the same hotel having sleepovers!" 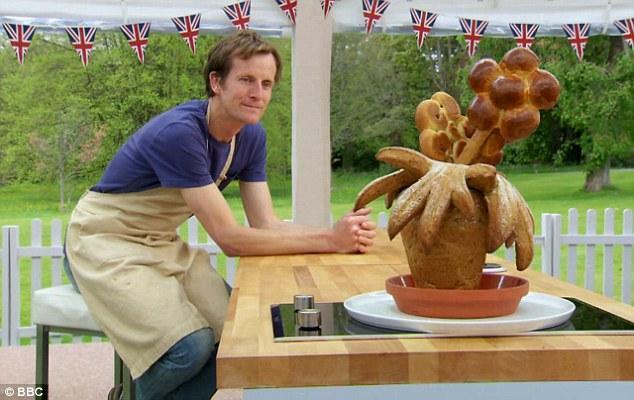 As for what the judges do during those two-hour baking challenges? Well, binge-watch TV shows, of course. Mary got caught up on Breaking Bad while judging for the show. "It’s shocking!" she said. "Then you get into it and you think: ‘Have I seen episode four or five?’ You get hooked." Sigh, what a great job. 8. Expect to wear the same clothes twice. For continuity reasons, bakers have to wear the same outfit all weekend. There are also other stipulations they must follow. “You can’t wear tops or dresses with thin stripes because of strobing [weird lines] on the camera," former contestant Martha Collison said. 9. Don't expect to take home any leftovers. The crew eats everything. 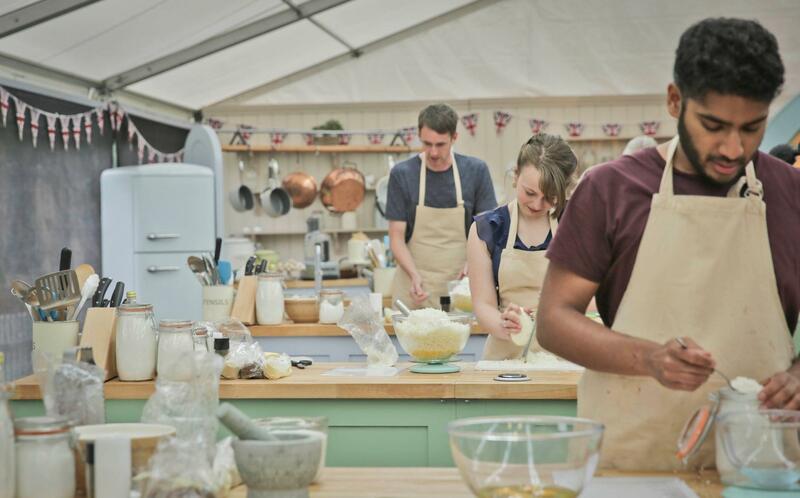 Although you'll be able to taste some of your competitor's creations, the majority of the food baked on the show gets devoured by the crew. "It all gets eaten, but in a controlled way," the show's Chief Home Economist Faenia Moore revealed. 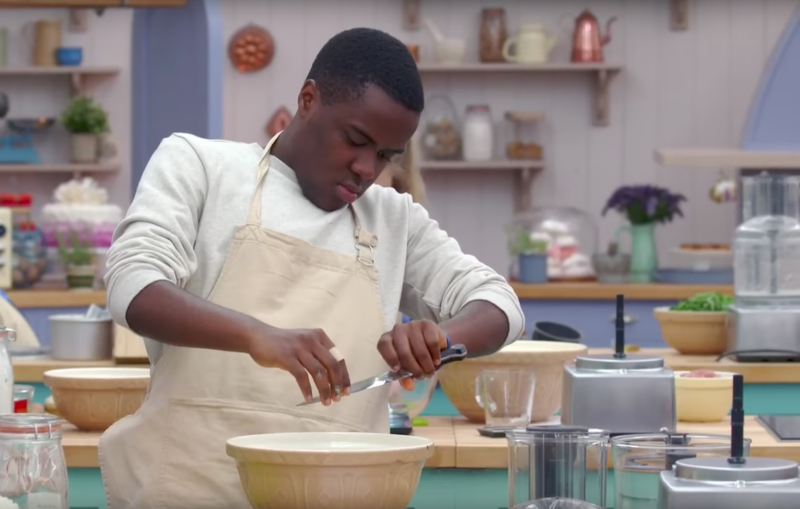 "It’s important for the bakers to eat what they’ve slaved over, so after each challenge I make up a ‘baker’s basket’ to go to their lunchroom. Then any leftovers go to the crew lunch. Everyone gets quite excited so you have to say: ‘Step back, we need to do this in an orderly fashion.’"
But according to former bakers, the process is a lot more chaotic. 10. There's a food runner. If a baker needs more bananas for their "banoffee" cake, the crew has a designated runner stationed at a nearby supermarket to pick up literally anything the bakers ask for. 11. A single person is responsible for hand-washing all the dishes. And those messy stations and pans filled with burnt caramel? Those get cleaned up by a single person, Iva Vcelak, who washes all the dishes by hand since dishwashers are too loud. Each season she spends 160 hours scrubbing dishes and uses more than 80 sponges. Give that woman a medal. 12. Producers won't come to your help. 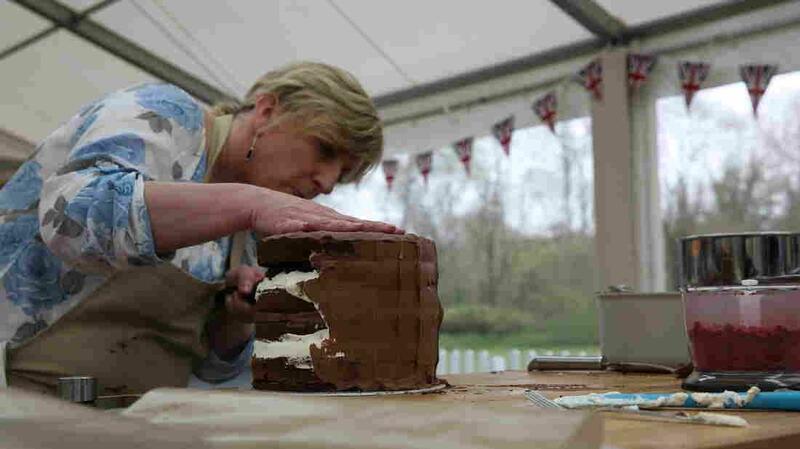 Unlike most reality shows that have producers interfere to change the outcome of a competition, Great British Baking Show has none of that. 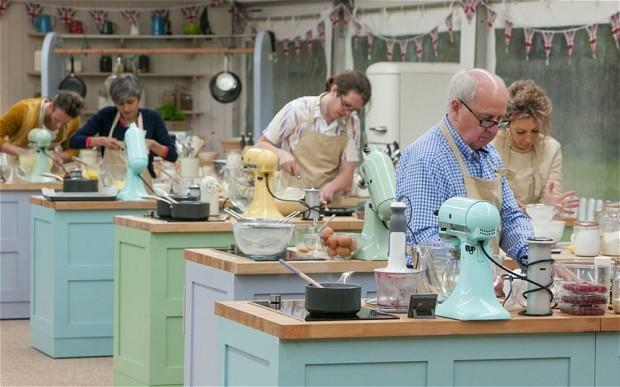 The decision on who wins Star Baker is 100 percent left up to the judges. One week, Paul and Mary spent five hours trying to decide who should win. And if a favorite contestant is struggling, too bad. "If I see a contestant doing something that I know will go wrong, I just have to turn away – I worry that they’ll see my reaction and realize," Faenia said. "I can explain how to use unfamiliar equipment, but in terms of, ‘I’ve split my custard’, they’re completely on their own. All I say is: ‘Do what you would at home.’"